The holidays are in full swing! When it comes to putting together the perfect holiday outfit, I always like to stick to something classic and simple. 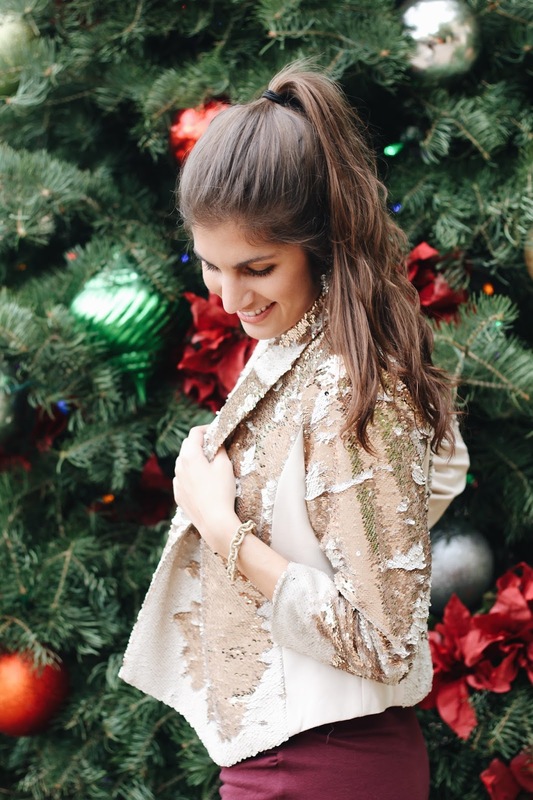 I add quirky accessories or outerwear pieces (like this sparkle jacket) to really make the outfit shine! So, in order to help make your lives simpler, I'm sharing my 18 favorite pieces to spruce up your look! What's you favorite way to add some sparkle to you ensemble? Great picks! The red heels are my favorite of your picks for the holiday season! Thanks so much, gal! I agree - they're the perfect statement shoe! !